The breakfast at the Paradise Lodge overlooking lake Chamo was pleasant, but as with every state-run establishment in Ethiopia, we had serious issues in communicating with the staff. Their English is poor and their training, well, poorer. 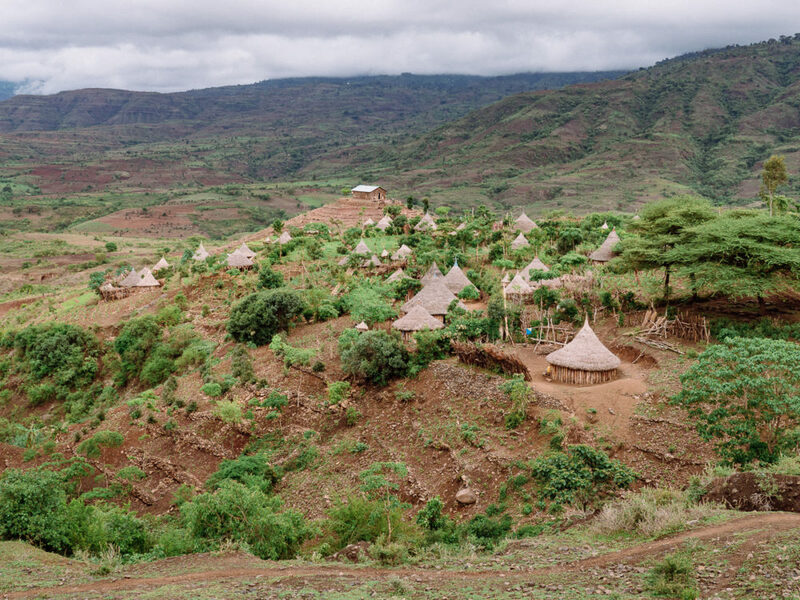 We drove to Konso, a small town that serves as the gateway to the southern Omo valley as well as the capital of the Konso communities. 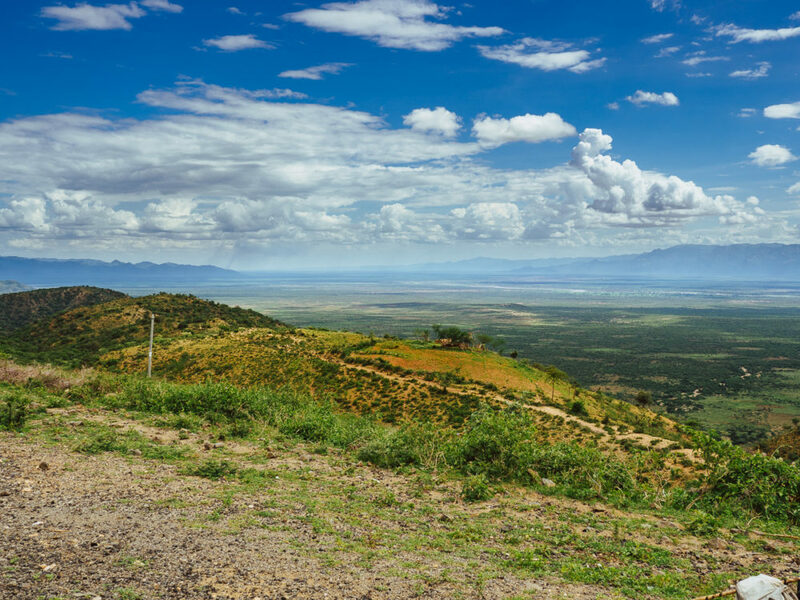 A view of the Omo valley near Konso. 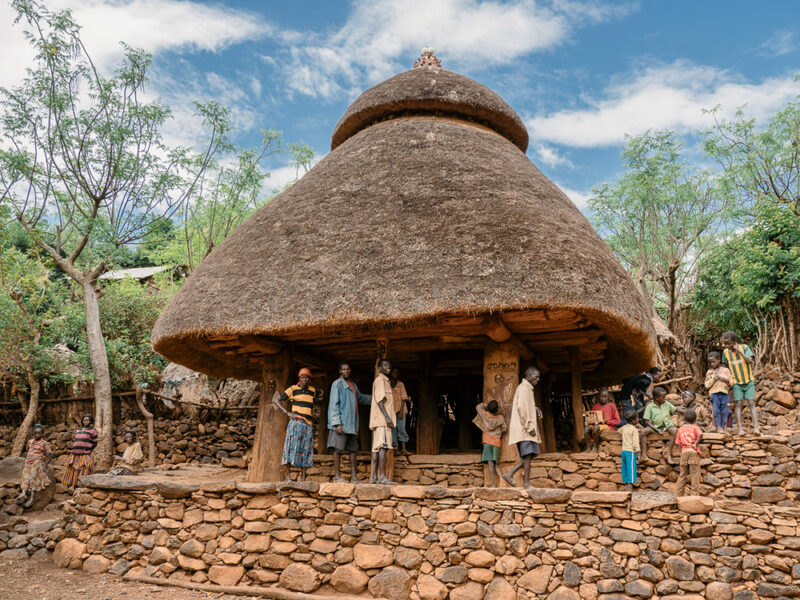 A Konso village in the Omo Valley. 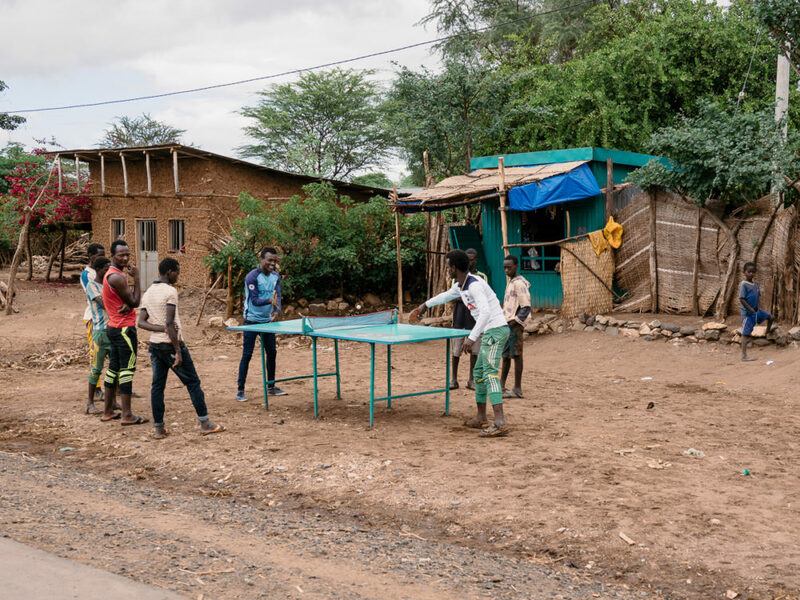 Konso youngsters palying ping pong in one of the villages we crossed. 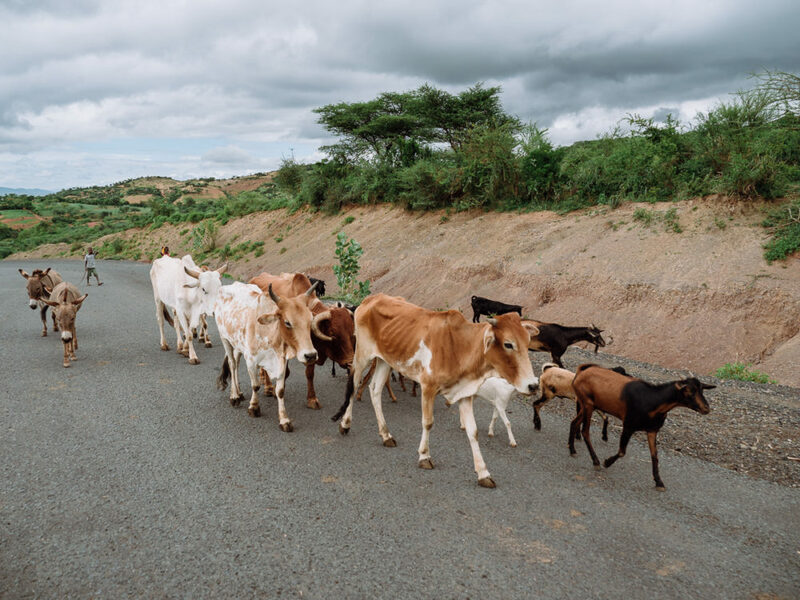 One of the many herds of cattles and goats we crossed on our way to the lower Omo valley. A sign telling passing travellers that the building is a bar. 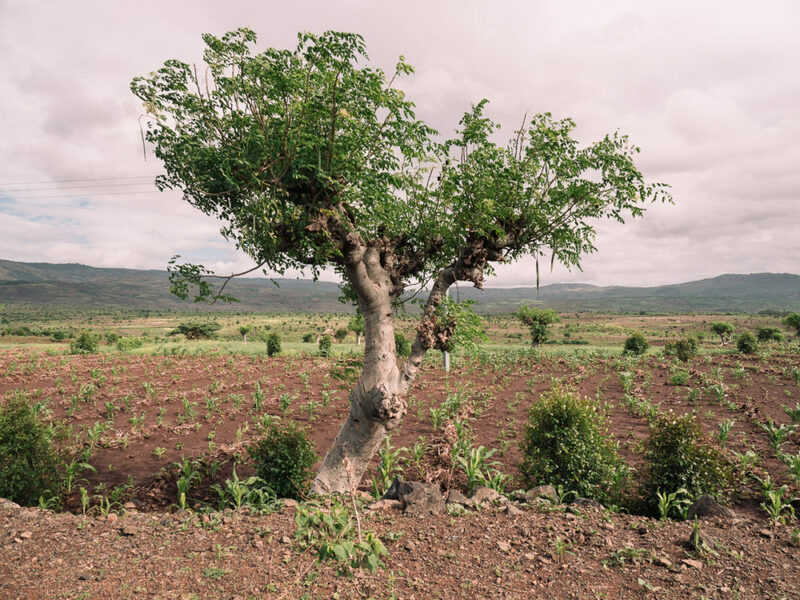 The moringa tree produces edible leaves, seeds used for the purification of water, and traditional medicinal products. 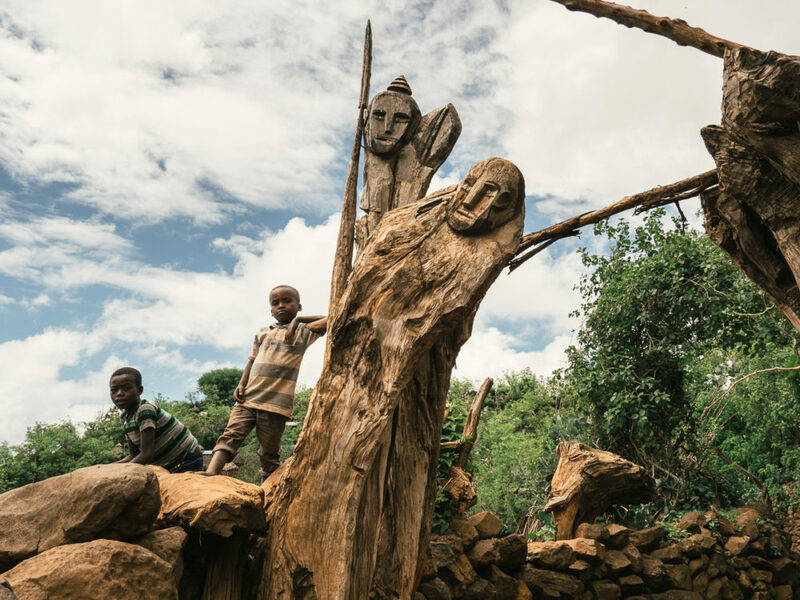 Konso villages are famous for their wagas, wooden totems in memory of deceased that were brave or important to the village. 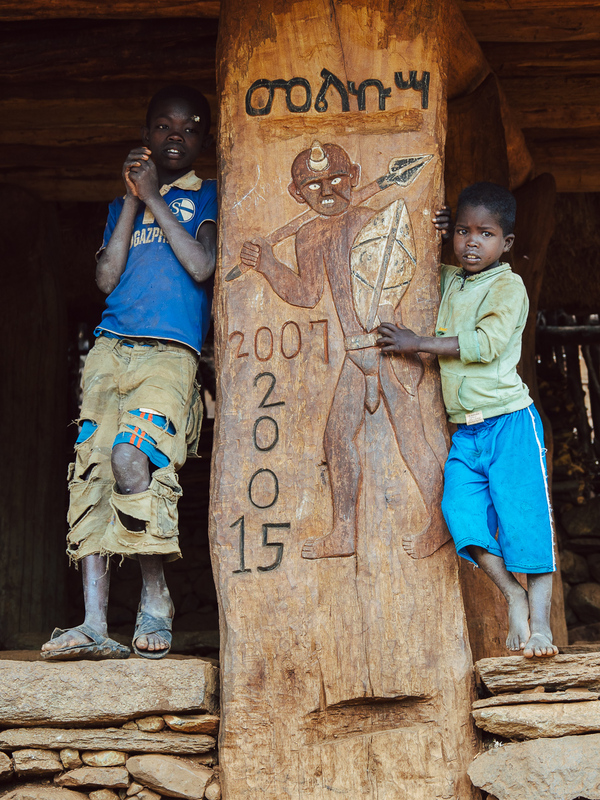 There are very few originals left in place and some of them can be found in Mechello, a village about 5km from Konso. Mechello, is a walled village, built inside co-centric stone walls that are raised for protection against raids. 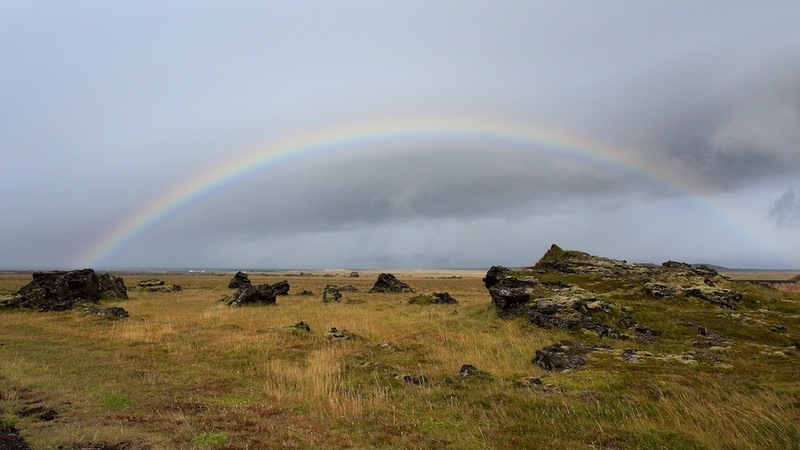 The waga remains are found in the cemetery, close to the entrance of the village. Being carved out of wood some 500 years ago, there is very little to left to see today. A set of wagas - not original though - in Mechelo. 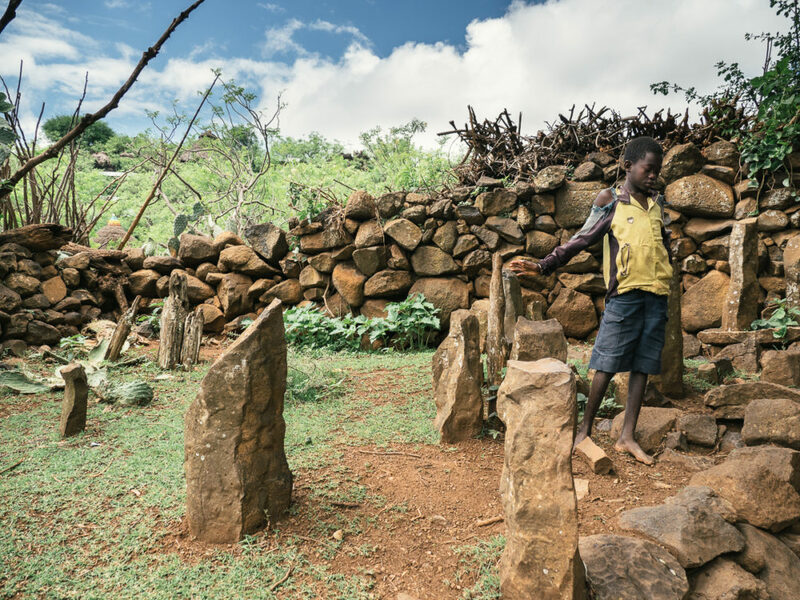 The remains of the original wagas and stone stelae in Mechello village. We moved to the central square, serving for community gathering and the place where the mora, a big thatched roof hut is built. 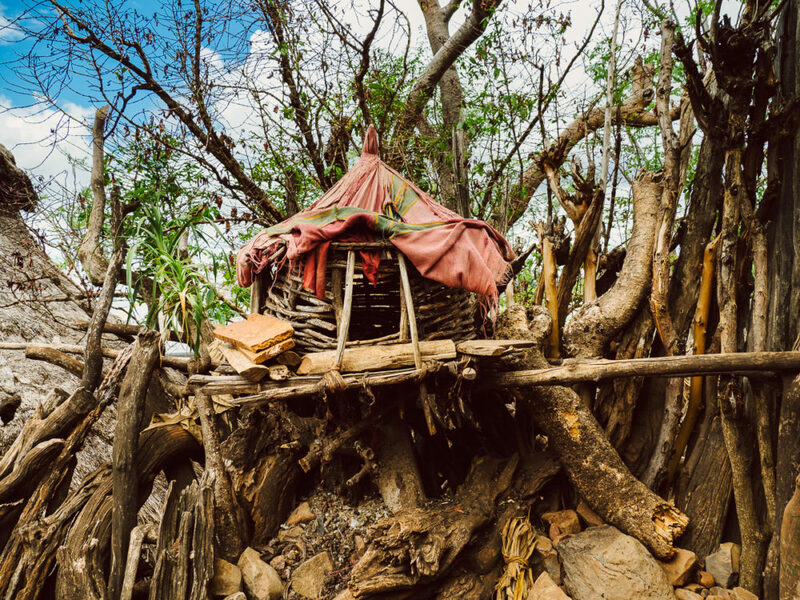 Moras serve as sleeping quarters for young boys that act as watchmen and servants for the community. The Mora, at the central square of Mechelo. Walking along the twisting narrow paths in Machelo is enchanting. 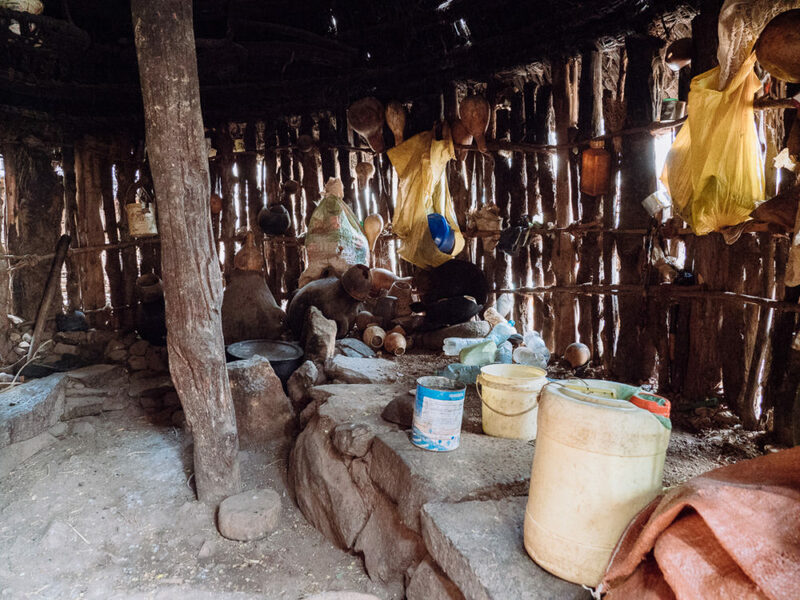 Family and clan compounds are interconnected, with different huts for the man of the family, the wives, the animals and the kitchen. 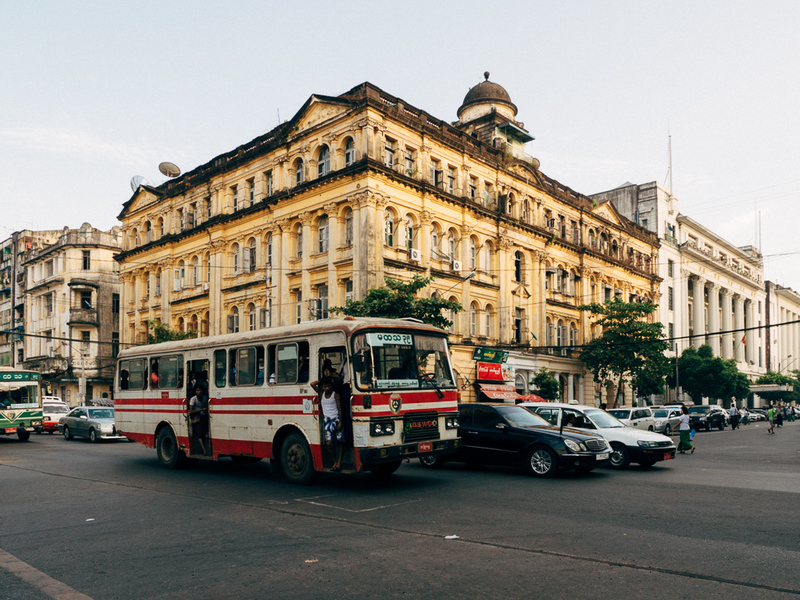 Of course, there is no electricity nor running water or sewerage system. 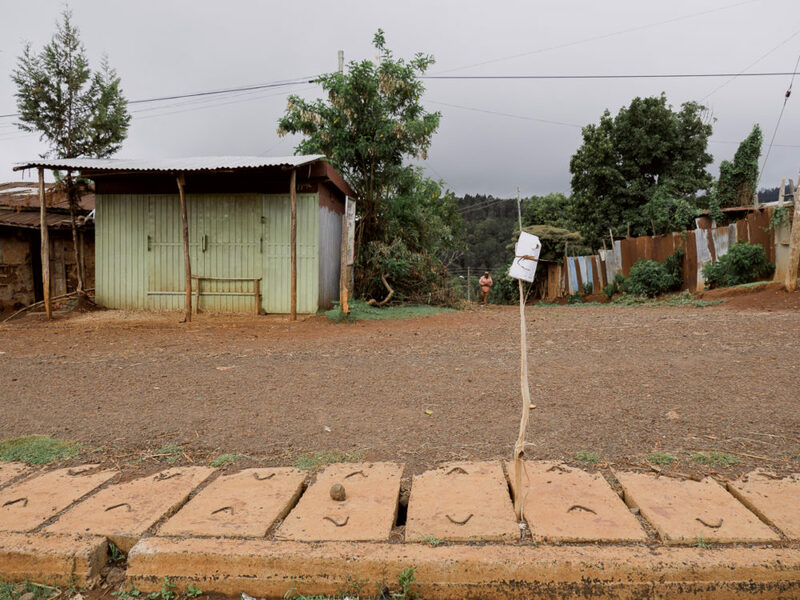 Villagers use a number of public toilets that are scattered around the village. 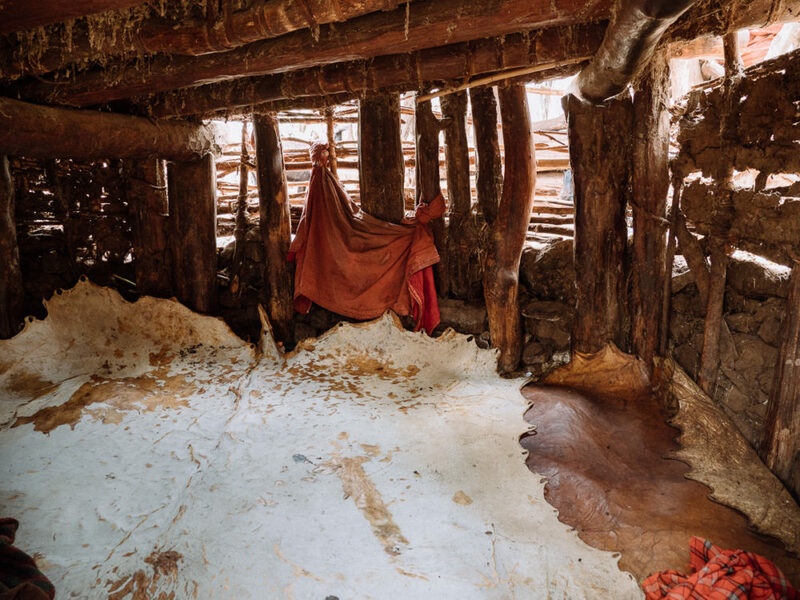 Cow skins serving as mattress in a hut in Mechelo. The kitchen of a hut in Mechelo. The chicken house in one of the hut complexes in the Mechelo walled village. We spent quite some time with the kids in the central square, all lined up to have their photograph for the usual 5 birr. Instead we chose to buy 20 pens from the local shop and express our gratitude in this way. They were very happy and I was happier that I did not have to surrender to the birr-fo-click exchange. Konsos like the rest of the tribes in the region and the Omo valley have become very pushy when soliciting their face for a picture. 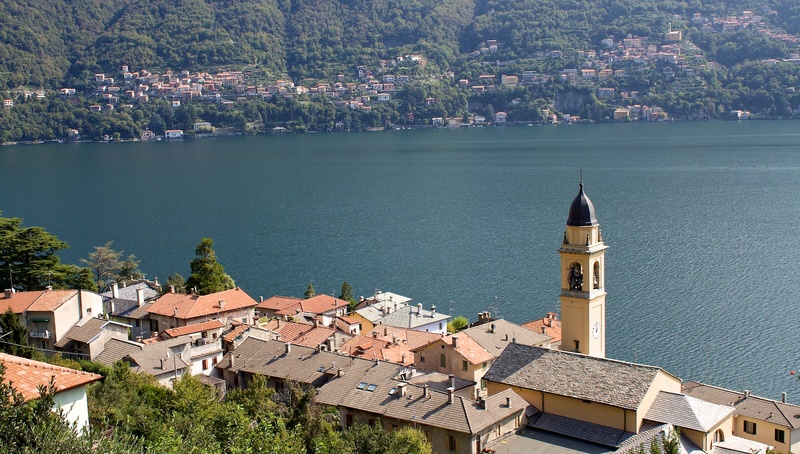 The lease a tourist can do is try to avoid engaging in this exchanging when it involves kids. 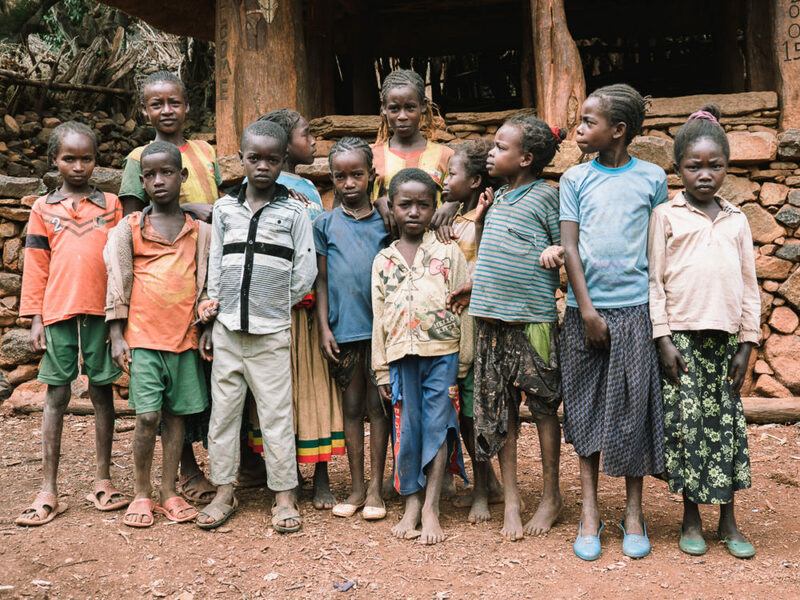 A bunch of Konso kids in Mechelo. A beautiful teenager in Mechelo. 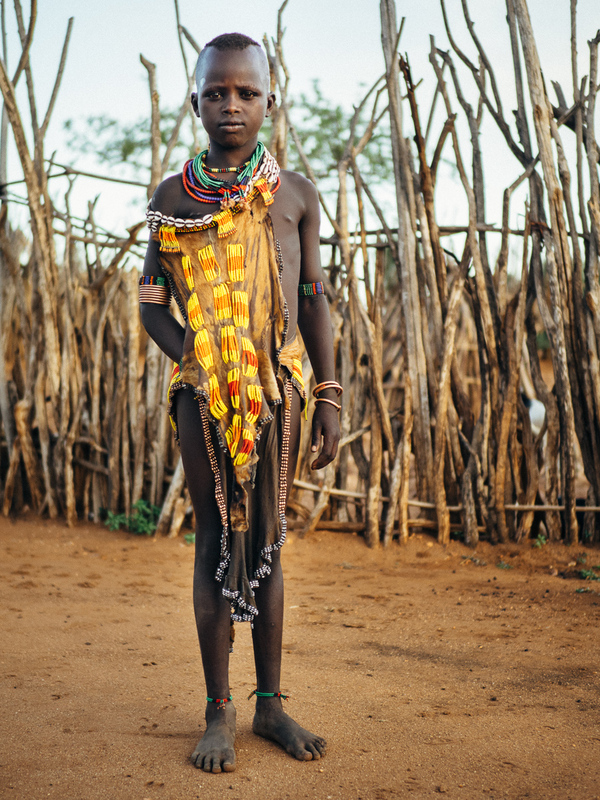 A Konso girl in Mechelo. A couple of boys posing in the Mora in Mechelo. A young woman in Mechelo. 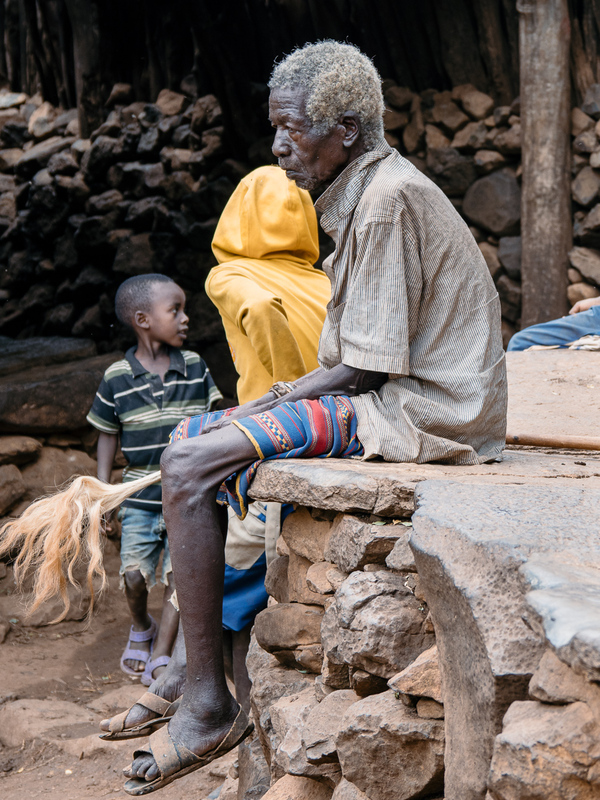 One of the elders in Mechelo. 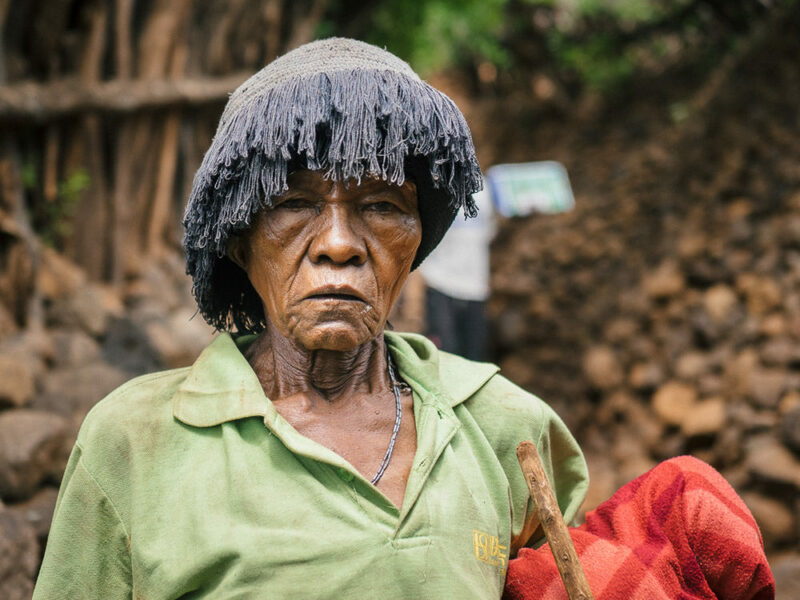 An elder lady in Mechelo. 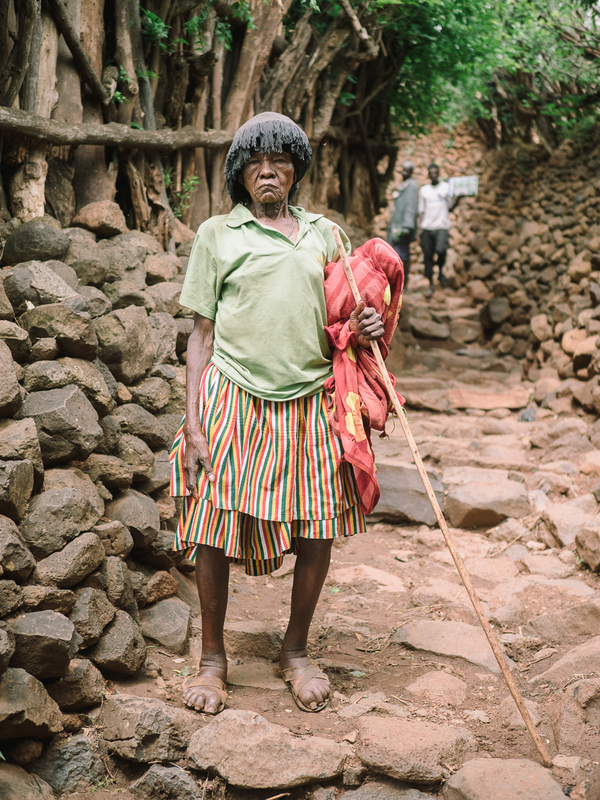 An elder lady in Mechelo. She confessed that she would spend the 20 birr for the photos for some alcohol. 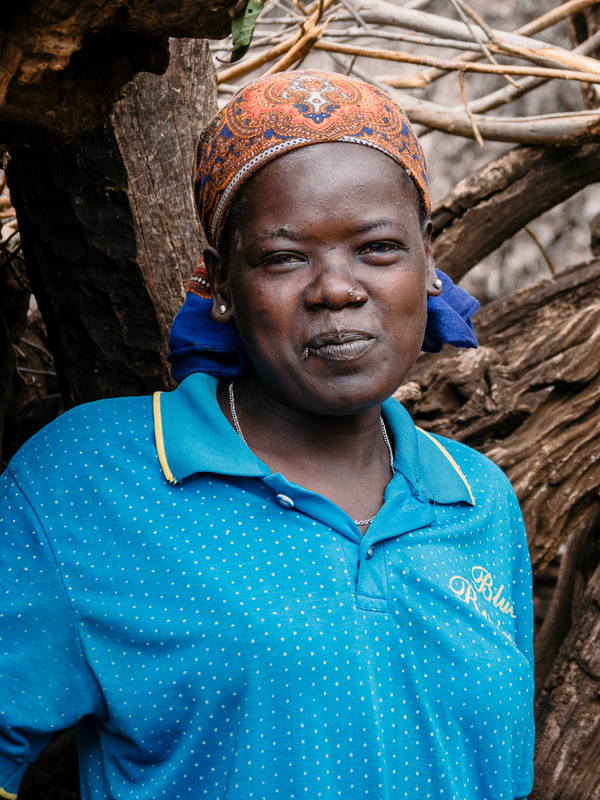 We left Mechello at noon and drove straight to Turmi, an indifferent tiny town in the heart of the southern Omo valley. The landscape was rather nice with signs of agriculture economy. The farms were small, an acre or smaller, marked by primitive wooden fences made of tree branches. The bad news was that the lodge that we were supposed to check in was fully booked by Morgan Freeman and his BBC crew who were filming a documentary. The only other option was a rather basic lodge, apparently not extremely popular during the off-season. We were the only guests for the next two nights. 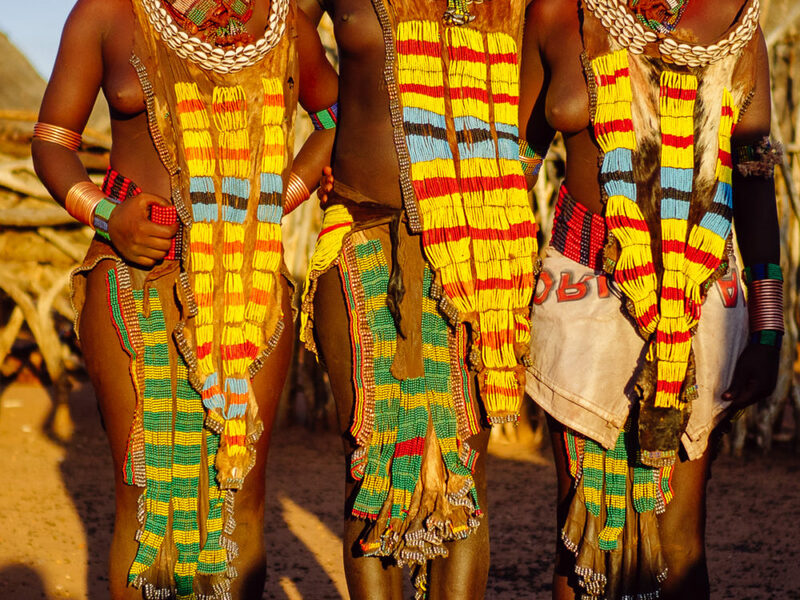 Our immersion into the eerie world of the southern Omo tribes started in Logera, a small Hanmer village close to Turmi. We rrived in the village late in the afternoon. 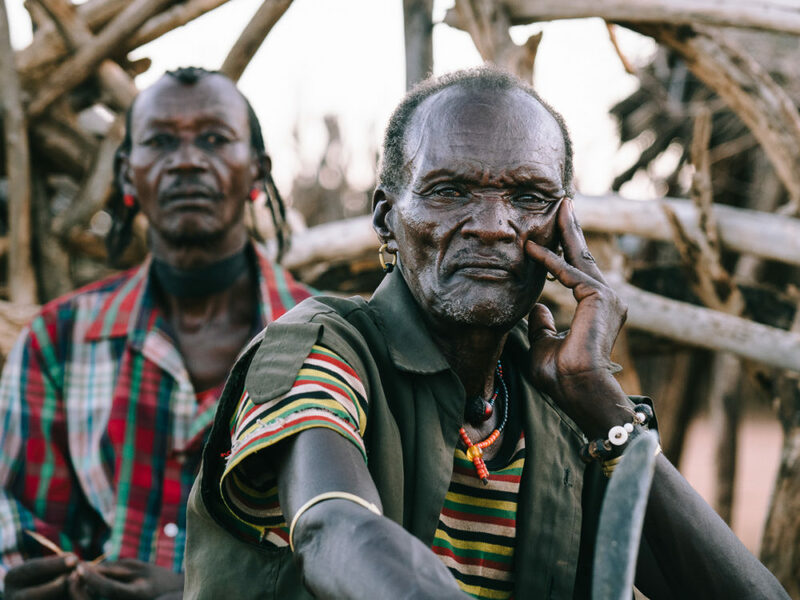 The men were sitting at the edge of the village, the young separated from the elders. 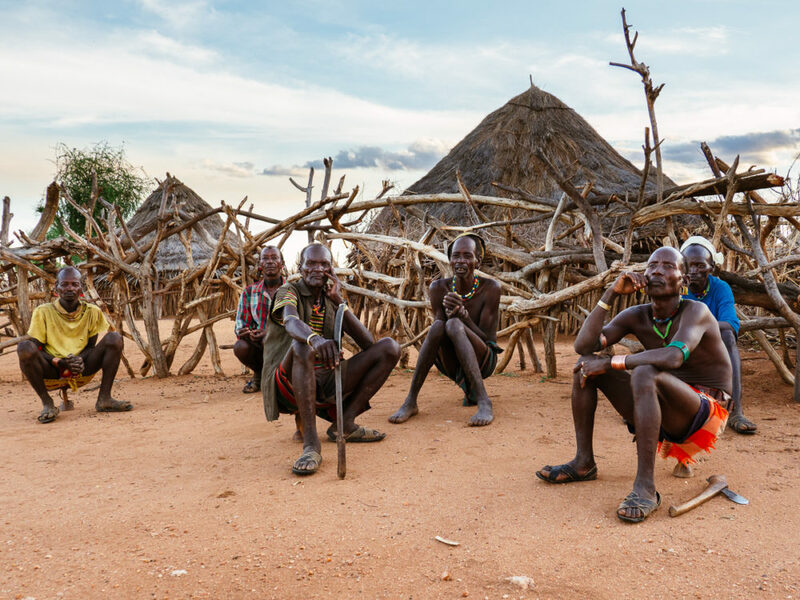 Hamer men in a village near Turmi. A Hamer elder with an instense look. The women, famous for their hairstyle, were gathered around the thatched huts. They are mixing together ochre, water and binding resin, rubbing the mixture into their hair, and then twisting the strands to create coppery colored tresses known as goscha. A hamer woman with the typical twisted hair, treated with ochre and fat. 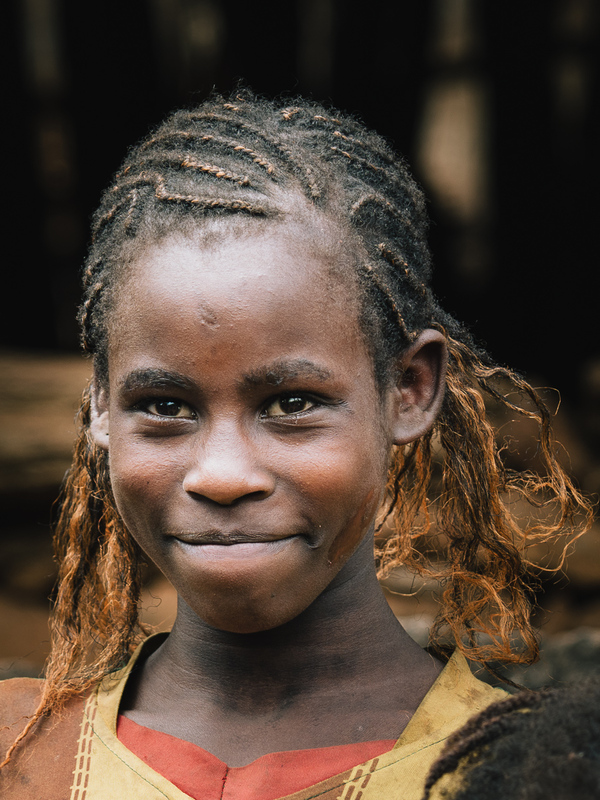 A hamer girl in one of the Hamer villages in lower Omo valley, near Turmi. Immediately they surrounded us and started soliciting themselves as photo models, but I managed to get away without paying a single birr. I had with me my latest gadget, a handheld Fuji printer that is able to print polaroid style 7x5 cm prints that I downloaded from my camera to my phone and then to the printer. After I gave away the first print, I became wildly popular and I had every woman and kid of the village lining up for a picture. Of course each print is far more expensive than 5 birrs – it costs about $1 – but the fact that these people were willingly posing for no money made my day. 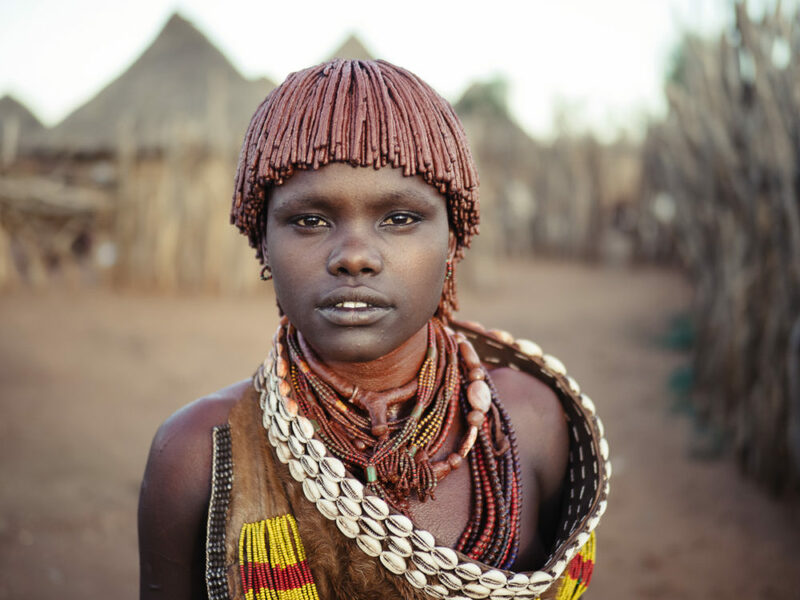 A hamer woman in one of the Hamer villages in lower Omo valley, near Turmi. 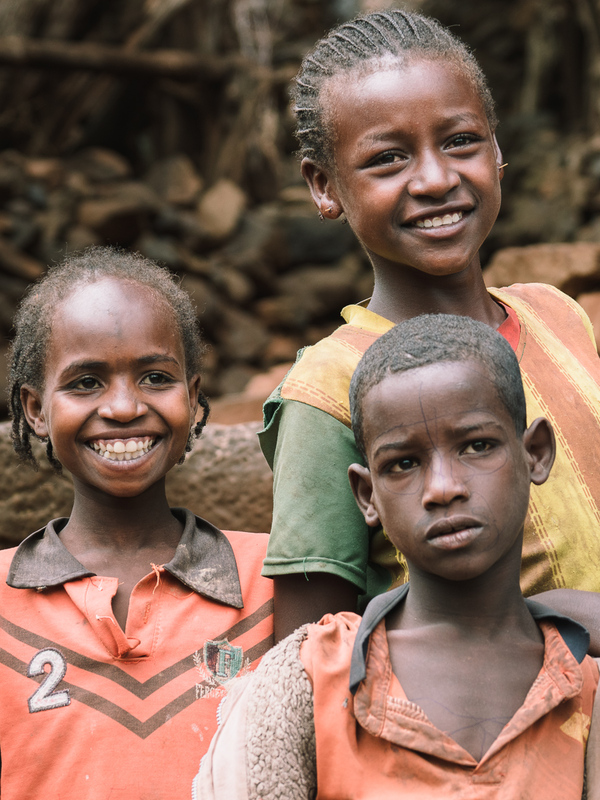 According to the 2007 census, there are 46500 Hamers,representing about 0,1% of the total Ethiopian population, with only 1000 of them living in cities. According to the governor of the region, only seven tribal members have ever completed secondary education. Hamers are pastoralists and their language has 27 different words to describe the colour of a cow. Men spend the most of their time caring for the cows and goats, which are also used as a coin for paying dowries to the parents of their wives. 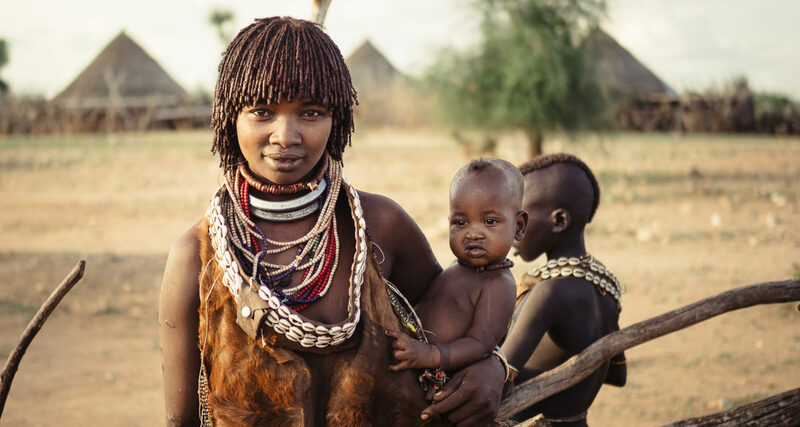 They marry only women from the tribe who run generally for 30 goats and 20 cows. Make no mistake. This is a huge amount in livestock and often it takes a lifetime to pay the full price. Wealthy men can marry more than one wife – up to four – but only the first one retains a high social status. The rest usually spend their lives as labour slaves to the family. First wives are easily distinguished but the set of three necklaces that they were around their neck. The colorful dresses of the Hamer women. Hamers are famous for the bull-jumping ceremony that takes place when a boy comes to adulthood. The whole village gather ups in the evening and a group of 10-20 bulls are lined up, side by side. The young man has to walk on the back of the bulls – not an easy task as the backs are covered with dung to become slippery – while the women of his family sing and praise him and beg to get whipped. If he fails he is ridiculed, if he succeeds, he has to repeat three more times. The women get whipped brutally and wounds from a blood tie to the boy, reminding him that they suffered for him in case they ever need his help in their lifetime. Whip scars are considered a beauty mark in the Hamer religion and women are proud of them. Another custom is a lot more cruel. Certain kids, whether they were born out of a marriage or they had the bad luck to have their first tooth appearing in the upper jaw, they are called mingi. 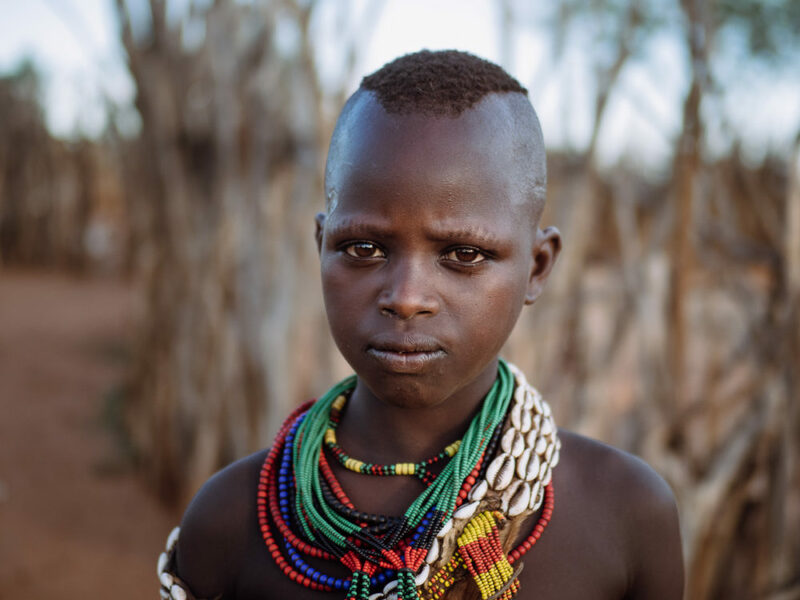 Hamers believe that mingis bring droughts, famines and diseases, so they abandon the kids in the savannah or the highlands to die. 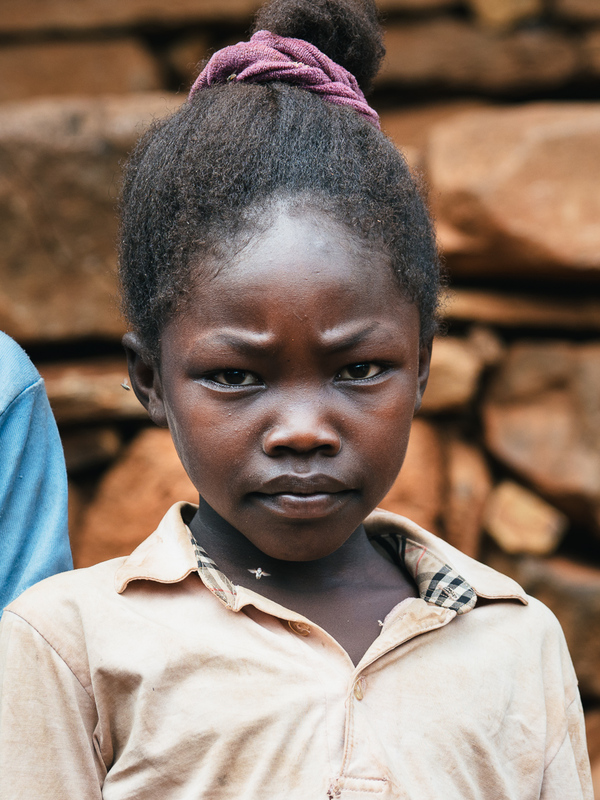 Nowadays NGOs check the area for abandoned children which are then raised in orphanages away from the tribe. Back to the lodge, we discovered that the restaurant had almost nothing to serve so we had to call Wegderes to pick us up and visit the nearby fully booked Buska lodge that offered some decent menu.